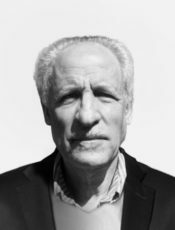 Mark Strauss, the Editor of the Bulletin of Atomic Scientists, headlined on 8 September 2014, «Nukes Are Cannibalizing The U.S. Defense Budget», and he raised the question of why nuclear forces are «cannibalizing the U.S. defense budget» now decades after the end of the Soviet Union and of its Warsaw Pact military alliance and its communist dictatorial ideology. No American President will be able significantly to improve the U.S. economy who fails to reverse this cannibalization by U.S. nuclear-forces advocates and contractors (who get trillions of dollars from this nuclear-weapons business). Strauss was summarizing a study «Study of the FY 2015 Defense Budget» by Todd Harrison, who now is the Director of Defense Budget at the Center for Strategic and International Studies. Strauss said that «Harrison doesn't see how the Pentagon will be able to afford all of this, in addition to other programs that it has planned». Harrison’s study stated in its «Conclusions» the study’s bottom line: «Strategy should inform one's budget, and budget constraints should inform one's strategy». His point there was that this isn’t currently the situation. In other words: efficiency has no place in current U.S. military spending. Strategy does not inform America’s military expenditures. Do you think we need an urgent buildup to counter Russia, China, and the Islamic State? That’ll be $1.3 trillion extra over the next 10 years, please, conservatives estimate. Would you rather save one trillion instead? Sure, libertarians say, but our allies will have to protect themselves. Or would you rather steer a middle course between the high- and low-cost options? Then get ready for tough choices on what parts of the military to modernize for a major-power war and which parts to keep cheap for day-to-day counterterrorism — what’s called a «high/low mix». But none of the teams recommended spending as much as Congress and President Barack Obama had been proposing to spend before «sequestration» — budgetary limits — became policy in 2013: «Even the most hawkish team didn’t recommend spending as much money on defense as the baseline set back in the presidential budget for 2012, the last before sequestration». Thus: In 2012, Congress and President Obama budgeted to spend even more on ‘defense’ than even the most hawkish of Washington’s think tanks were now recommending in 2016. The libertarian Cato Institute…, unsurprisingly, proposed the $1 trillion cut. The US can keep bombing the Islamic State, they argued, but let’s let Europe and Asia bear the burden of their own defense against Russia and China, with the US eventually withdrawing from NATO. «The challenge for US security strategy is to restrain ourselves, to avoid the foolish temptations that power affords», Friedman told me. «A smaller military will allow fewer foolish wars». The reliance on three nuclear delivery systems is a relic of Cold War bureaucratic politics, not the product of strategic calculation. A submarine-based monad is more than sufficient for America’s deterrence needs, and would be considerably less expensive to modernize and maintain than the current force. The Navy would not have to skirt the law in a desperate bid to shake additional money from American taxpayers if the Obama administration shed its attachment to the nuclear triad. Wikipedia’s article «Military Budget of the United States» indicates that in budget requests by the U.S. military services for the year 2010, the U.S. Navy was requesting 47.4% of all funds (only 4% of that sum would go to its Marine Corps), the U.S. Army was requesting 31.8%, and the Air Force was requesting 22%. For the U.S. Navy «to shake additional money from American taxpayers» than already was the case, would be virtually impossible without ending all the nuclear waste in the Air Force and Army. Preble was saying that for America’s strategic nuclear purposes, none of those expenditures should be going to the Army and to the Air Force — those two branches of the U.S. military should be 100% devoted to fighting conventional wars, and using weaponry whose technological advancements would be in other fields than nuclear weapons. However, this would greatly reduce the amount of money that the U.S. currently is devoting to waging nuclear war; and so corporations such as Raytheon, and their lobbyists in Congress, and their labor unions etc., would not like that and would spend whatever they’d need to spend to avert it. There are things that politicians say they want to do but always find ways to avoid doing, and this sort of thing fits that description. For example, President Obama (despite his ‘pacifist’ rhetoric and Nobel prize) was a great champion of Ronald Reagan’s hyper-aggressive ‘Star Wars’ Anti Ballistic Missile (ABM) (more recently called Ballistic Missile Defense, or BMD) program, and he started installing it (the Lockheed Martin Aegis Ashore system) in Romania and in Poland, during his final year in office, 2016. This installation is essential to his subterranean goal to attain «Nuclear Primacy» — the ability to win a nuclear war against Russia. That’s a repudiation of the concept which had guided John Fitzgerald Kennedy and Nikita Khrushchev and their successors during the original Cold War (i.e., until the Soviet Union ended in 1991): Mutually Assured Destruction, or «MAD» — the recognition that unlike conventional weaponry, where there is a winner and a loser, with two nuclear powers at war there can be only two losers, no winner of such a war. The U.S. government’s military policy abandoned that concept in 1990 and secretly went for nuclear ‘victory’. Donald Trump will have to decide fast whether he believes in «MAD» — or, alternatively (like Obama and other U.S. Presidents since George Herbert Walker Bush) — Trump's military policies will be pursuing conquest of Russia. If he pursues conquest of Russia, all non-military spending by the U.S. government will need to be slashed, and poverty in the U.S. will spread like wildfire. Currently, many Republicans in Congress, and virtually all Democrats in Congress, favor Nuclear Primacy and reject the concept of MAD. This is the reason why the Cato Institute’s proposals to eliminate the nuclear-forces expenditures portion of the budgets for both the U.S. Air Force (such as Lockheed Martin’s Aegis Ashore systems in Poland and Romania, and many other such ‘Nuclear Primacy’ military boondoggles) and the U.S. Army, are being ignored by Congress and the U.S. aristocracy’s other agents. In late November, the State Department approved another transaction — the acquisition of 70 AGM-158B JASSM-ER (extended range) missiles for Poland. The deal undeservedly failed to attract much attention. In fact, it matters much and changes a lot. That military contract will provide the Polish military (as part, now, of NATO’s strategic force) ultimately a first-strike extended range «of almost 1,000 km» — the ability to destroy Russia’s strike-back (retaliatory) missiles before those Russian missiles can even launch after the U.S. side’s invasion of Russia. That’s approximately long enough range for NATO’s forces in Poland to eliminate the retaliatory missiles that are protecting Moscow. This is the sort of thing that the U.S. and its NATO alliance are working on. Unless that is stopped now, the consequences for the public not only in Russia but throughout the northern hemisphere, and even globally, will be catastrophic beyond anything in human history. Whether to stop this plan for conquest now, will be the thorniest policy-question that President Trump will face, because unless he joins the rest of the U.S. aristocracy on this matter (and they are obsessed to conquer Russia), he will soon find himself increasingly at war against that aristocracy — and against its allied aristocracies, in Poland, and elsewhere. So: the thorniest policy-question that Trump will face is: Will I conquer my aristocracy, or will I (like my recent predecessors) instead help them fleece the U.S. public so that maybe those aristocrats will become enabled to conquer Russia (even if doing that might leave the planet unlivable)? That question will demand his focus on day one, because if he intends to conquer his aristocracy, he’ll need to start the process immediately, and his predecessor Barack Obama did everything at the end of his Presidency he could to facilitate their conquest of Russia. On 6 January 2017, David Cenciotti headlined at «The Aviationist», «These crazy photos show a Russian Su-27 Flanker dogfighting with a U.S. Air Force F-16 inside Area 51», and he reported that on November 8th, the day when Donald Trump was elected President, Barack Obama’s military had actually been testing out in the Nevada desert, in a mock dogfight five miles up in the sky, America’s F-16, versus a Russian Su-27 Flanker. Cenciotti said: «In 2014, Lt. Col. Kevin Gordon, 64th AGRS commander, explained the Su-27 Flanker was the type of aircraft they replicated when attacking a Blue Forces F-15 in what was the first time the Flanker was mentioned as an enemy aircraft». «Enemy» — like back during the Cold War against the Soviet Union, but now in our era, now against Russia. At the start of 2014, Obama’s bloody coup in Kiev overthrew Ukraine’s democratically elected President, Viktor Yanukovych, for whom 90% of the voters in Ukraine’s far-eastern Donbass region had voted 90%, and for whom 75% of the voters in Ukraine’s (since 1954 — previously it had been for hundreds of years part of Russia) far-southern Crimea region had also voted. Both regions rebelled and separated themselves from Obama’s fascist regime — the regime that he (Obama’s operation) had imposed upon them. Now Obama was imposing sanctions against Russia, for responding to Obama’s seizure of Ukraine, the nation that has Europe’s longest border with Russia and can host a NATO missile a mere five minutes flight-time to Moscow. And so, 2014 was also the year when, for the first time after the 1991 end of the Soviet Union, and of its Warsaw Pact military alliance, and of their communism, America was, once again, preparing war against (long-since no more the Soviet Union, but only its democratic remaining rump country) Russia. Obama blamed Russia for ‘aggression’, for having responded to Obama’s aggression. He needed an excuse for surrounding Russia with more and more NATO nations, and for installing, near Russia’s borders, ABM systems to nullify Russia’s ability to strike back against a surprise U.S. nuclear blitz invasion of Russia — conquest of Russia. A reader might think that this cannot be the case — that the U.S. federal government cannot possibly be that corrupt, even depraved, so as to be treating nuclear war (its weaponry, etc.) as, essentially, a profit-center for America’s investors, a psychopathic operation for the aristocracy, especially for the controlling stockholders in ‘defense’ firms, and their lobbyists, regardless of the public’s welfare. However, it not only is true, but it has been the case for at least the past few decades, throughout which the most corrupt of all of the federal government’s Cabinet Departments, the ‘Defense’ Department, has been so corrupt as to have been the onlyfederal Department that is unable to find any certified auditing firm willing to place its imprimatur upon its financial records. The military is still running behind in its decades-long quest to audit its spending and rein in waste, Department of Defense comptrollers testified Tuesday to the Senate. Army, Air Force, Navy and Marine Corps financial managers will be unable to fully meet a midpoint deadline set by the secretary of defense this year for mandated accounting benchmarks. Meanwhile, «serious continuing deficiencies» remain in the accounting efforts, according to a Government Accountability Office report issued Tuesday. Nearly three decades after U.S. taxpayers gasped over $640 toilet seats and other Cold War military waste, the Department of Defense remains the last federal department still unable to conduct a financial audit despite laws passed in the 1990s that require the accounting. We determined whether adjustments made to Army General Fund (AGF) data during the FY 2015 financial statement compilation process were adequately documented and supported… The Office of the Assistant Secretary of the Army (Financial Management & Comptroller) (OASA[FM&C]) and the Defense Finance and Accounting Service Indianapolis (DFAS Indianapolis) did not adequately support $2.8 trillion in third quarter journal voucher (JV) adjustments and $6.5 trillion in yearend JV adjustments1 made to AGF data during FY 2015 financial statement compilation… In addition, DFAS Indianapolis did not document or support why the Defense Departmental Reporting System‑Budgetary (DDRS-B), a budgetary reporting system, removed at least 16,513 of 1.3 million records during third quarter FY 2015… As a result, the data used to prepare the FY 2015 AGF third quarter and yearend financial statements were unreliable and lacked an adequate audit trail. Furthermore, DoD and Army managers could not rely on the data in their accounting systems when making management and resource decisions. A trillion dollars disappearing here, and a trillion dollars disappearing there, and, after a few decades of this, it becomes clear that the corruption within the U.S. aristocracy isn’t going to stop; and it won’t even be able to be reined-in, without someone in the aristocracy leading an internal war against the rest of that aristocracy, which will nationalize the assets of the ones who resist. To apply normal legal process against the people who control the country and who thus essentially wrote the laws to suit themselves, would inevitably fail. They made it this way. Bolder action would be required. It would require enormous courage. However, the present path is clearly heading toward unprecedented catastrophes. Remaining on it is not a sustainable option. Trump will choose, and he will enter the White House with that choice. DISCLAIMER & CONCLUSION: I am not and never have been a libertarian nor any other type of supporter of the Koch brothers’ Cato Institute; I am a Bernie Sanders progressive; and on almost all progressive issues, libertarians stand at the opposite, conservative side, but not necessarily on the particular issue of self-determination of peoples (including of Russians). The only individuals who stand with the Washington mainstream (the imperialists, otherwise called «neoconservatives») on this issue are supporters of Nuclear Primacy and of conquest of Russia. That’s the Establishment’s position (otherwise called «neoconservatism»), even though most people (at least ones who know who the Establishment and neoconservatives actually are: that they’re the aristocracy and their agents) consider it to be an evil position. They don’t write, they don’t express themselves, to this effect, but if they understood what and who the Establishment (and neoconservatives in general) are, the public would strongly oppose them. The question here is thus whether President Trump will oppose them — or else whether he will turn 180 degrees around, and join the neoconservatives. Trump will be at war, in either case, but he’ll quickly need to make clear which side he’s standing on, if he will be able to serve out a full term. He entered the U.S. Presidency at a dangerous time. It’s not a normal time; and, if his Presidency is to be a normal Presidency, then its results will be catastrophic.